Paulo Abrão is the Executive Secretary for the Inter-American Commission on Human Rights of the Organization of American States (IACHR/OAS) based in Washington, DC. He has also served as National Secretary of Justice; President of the Amnesty Commission; President of the National Committee for Refugees; and President of the National Committee Against Human Trafficking in Brazil. 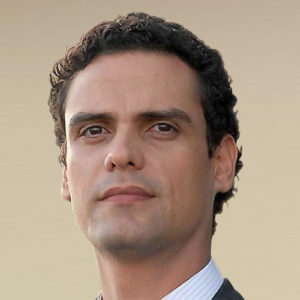 Former Executive Secretary of MERCOSUR Human Right’s Institute based in Buenos Aires, Argentina, Dr. Abrão holds a Doctorate Degree in Law from the Pontifical Catholic University of Rio de Janeiro and a Postgraduate Degree in Human Rights and Democratization Processes from the University of Chile. Dr. Abrão is a Professor at the Doctorate and Master Law Program of the University of Pablo de Olavide in Spain. He has published dozens of articles and books about transitional justice and public law and has produced research at several Latin American universities. In 2006 he joined the Brazilian mission for the implementation of the University of Cape Verde. Dr. Abrão served as an advisor to the Reference Center for the Revealed Memories Project of the National Public Archive of the Presidency of Brazil. He was also a member of the Working Group that created the Brazilian Truth Commission, coordinator of the implementation of the Political Amnesty Memorial project, as well as a member of the Council of Cultural Guidelines of the Resistance Museum of São Paulo.